We secured funding in August 2016 and are seeking to hire people who love what they do and want it to be meaningful, strive for excellence, and want to work in a collaborative, team-oriented culture. 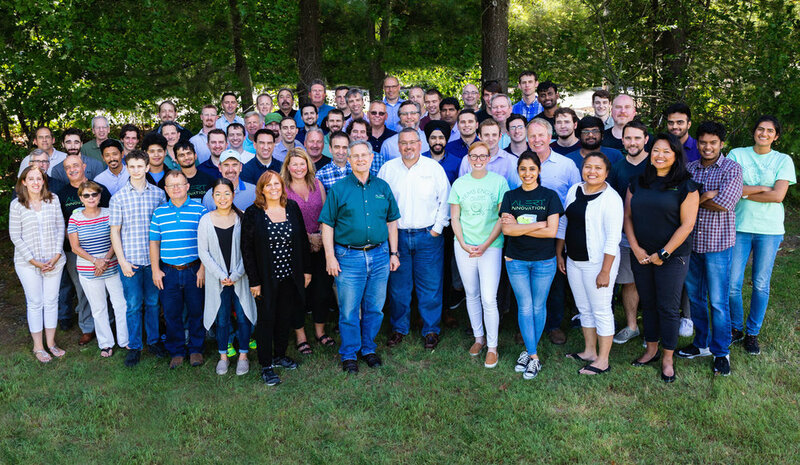 Team members come from IBM, Brooks Automation, GE, Amazon Robotics, iRobot, Symbotic, Rockwell Automation, GlobalFoundries, Barrett Technology, The Robotics Institute, Rethink Robotics, MagneMotion, MIT Lincoln Laboratory, Mercury Systems, Kronos and Raytheon, among others; many with 20+ years experience. Named inventors on over 250 issued US patents. Our culture is guided by our mission and rooted in our core values. Our mission is to improve people's lives through innovation, starting with retail by transforming how people shop and how retailers operate. The Golden Rule- Extraordinarily powerful in its simplicity and depth: “Treat others as you would want to be treated." It demands both empathy and fairness, qualities which are fundamental to harmonious human relationships and form the bedrock of ethical behavior. The Power of Truth- We strive to see the world as it is, not as we want or imagine it to be, because only then can we make it better. This core value manifests itself through questioning, probing, testing, measuring, validating, verifying, proving, listening with an open mind, and making fact-based decisions. It also fosters transparency and honesty with others, as well as self-examination and self-honesty. Our history traces back to a thought experiment in 1994, when inventor John Lert began thinking about how to use technology to create the "perfect" supermarket. He imagined a store in which machines pick customers' orders for center-store items, but customers still pick their own fresh goods, with no checkout line. That vision became the driving force for him professionally and led him into the field of materials-handling automation. In 2013, Lert founded Alert Corporation, later renamed to Alert Innovation, Inc., and began working with co-inventor and business partner Bill Fosnight. Together, they invented Alphabot, secured start-up funding for Alert Innovation in 2016, and built the team that has now made their vision of Alphabot a reality.